We’d love your help. Let us know what’s wrong with this preview of Mademoiselle Chanel by C.W. Gortner. Transforming herself into Coco—a seamstress and sometime torch singer—the petite brunette burns wi Born into rural poverty, Gabrielle Chanel and her siblings are sent to orphanage after their mother’s death. The sisters nurture Gabrielle’s exceptional sewing skills, a talent that will propel the willful young woman into a life far removed from the drudgery of her childhood. To ask other readers questions about Mademoiselle Chanel, please sign up. What did Coco Chanel first design that began her career in fashion? Where can I borrow this book? 1 star - I was quite interested in reading this because according to Kirkus Reviews it is historically accurate although the author portrays Chanel as beyond all reproach for absolutely everything. I wasn't interested from the point of view of Chanel as a designer. I find her clothes to be boring and twee as opposed to the wonderful designs of Schiaparelli with her nod to surrealism, no doubt inspired by her artist friends who included Jean Cocteau and Salvador Dali. No, I was interested to read 1 star - I was quite interested in reading this because according to Kirkus Reviews it is historically accurate although the author portrays Chanel as beyond all reproach for absolutely everything. I wasn't interested from the point of view of Chanel as a designer. I find her clothes to be boring and twee as opposed to the wonderful designs of Schiaparelli with her nod to surrealism, no doubt inspired by her artist friends who included Jean Cocteau and Salvador Dali. No, I was interested to read of Chanel, a woman I absolutely despise with all her flaws as well as talents on display. She was a collaborator during WWII. Official Nazi papers found in French Defence Ministry archives show that Chanel was recruited by the Nazi military intelligence division, the Abwehr, and given an agent number – F-7124. She was also given her own code name, Westminster, a reference to her affair with the equally nasty Duke of Westminster 20 years earlier. Her job was to try to persuade Britain - through her friendship with Churchill - to settle peacefully. Chanel slept with everyone (but no one every married her) including Paul Iribe whose magazine, Le Temoin, she funded. This Fascist magazine has been described as "a violent, ultra-nationalist publication that said that France was being destroyed from within by Jews." Iribe drew a cartoon of a naked Chanel, representing France, in the arms of Hitler, Germany, whilst evil Jews looked on. She and her friends - and it also seems it is in the murky pasts of Edith Piaf and Maurice Chevalier, both of whose careers flourished in this period - believed that only Hitler could save France from the threat of the Jews. (There are certain elements in France recently and presently that would certainly have thought her a great and prescient heroine). Those who would excuse her, maybe those who share her sympathies or maybe they think it just doesn't matter, say that she was only with the Nazis because she had no choice. She had no choice apparently in not just taking Nazi lovers, several as well as her main one with whom she escaped to Switzerland on the Nazi defeat, becoming a spy, dining with Göring and Goebbels and having the Nazis fund her living at the Ritz hotel where there air wing was based. Right, no choice. According to Library Journal this book is a whitewash job by the author, who has been a lifelong admirer of Coco Chanel. So I'm not going to read this book. However, I might read Sleeping with the Enemy: Coco Chanel's Secret War by Hal Vaughan, which is by all accounts, an unromanticised and true portrait of an evil woman who willing collaborated and hoped for Hitler's success in his annhilation of the Jews and subjugation of Europe to the Empire of the Third Reich. The perfume I wear most often is Chanel Allure. Coco Chanel created Chanel No. 5, but the perfume house that she had negotiated a contract to distribute it was the Jewish Wertheimer company, a family business. Chanel attempted to get control of the company herself by using Nazi laws against Jewish businesses. She failed because she didn't know the Wertheimers had turned over their company to Felix Amiot, a French Christian, before leaving the country. After the war, that excellent man returned the company to its previous owners and there was nothing Chanel could do. (After the war the contract was renegotiated and she included a stipulation, the same one as with the Nazis, that they pay all her living expenses). But whitewashing their names, attempting to rewrite history, ah that's another thing. "I wasn't born of peasant stock for nothing. Since fortune was dragging its heels, I would lure it out with my hard work. Then who knew what I might achieve?" This fictionalized account of the life of world renowned Coco Chanel was very well written and quite illuminating. Prior to reading this, I knew very little about this forward thinking icon of the fashion world. I believe C.W. Gortner skillfully provides the reader with the details necessary to make a judgment regarding our own personal fee "I wasn't born of peasant stock for nothing. Since fortune was dragging its heels, I would lure it out with my hard work. Then who knew what I might achieve?" This fictionalized account of the life of world renowned Coco Chanel was very well written and quite illuminating. Prior to reading this, I knew very little about this forward thinking icon of the fashion world. I believe C.W. Gortner skillfully provides the reader with the details necessary to make a judgment regarding our own personal feelings about this complex woman's motivations and actions. While reading this, what I came to admire most about Coco Chanel, born Gabrielle Chanel, was her determination. Her rags-to-riches story was very inspiring. She knew what she wanted, and she set out to achieve her goals. I am not much of a fashionista, but I really enjoyed reading about her creations and applaud her practicality and simplicity. After World War I, she noted that women did not want to feel restricted by their clothing. Instead, they wanted the freedom to dress stylishly yet comfortably. In 1926 she introduced the little black dress and was praised by Vogue magazine with the prediction that this article of clothing "will become standard for the masses, much like Ford's motorcar." How true this notion even today! Coco Chanel was not one to settle down and yield to what was expected of a woman during her times. She had an interesting procession of lovers and also a good share of heartache as a result. I get the impression from reading this that Chanel came across as a hard woman, perhaps unfeeling at times. But here we see her grieving over her losses while still presenting herself as a strong woman to those on the outside. She balked at conformity and sought freedom not just in dress but in aspirations for women as well - "even as I worked my fingers to the bone to liberate women from our cloth chains, our minds remained as closed as ever to the possibility that we might deserve more than a husband, children, and growing old cooking sausage." This book addresses the controversy surrounding her involvement with the Nazis during the occupation of Paris; however, her true motive was perhaps really only known to Chanel herself. The perspective presented here was certainly thought-provoking and offers one hypothesis. Admittedly, I am not educated enough on the various theories and cannot suggest that I have formed an opinion about this part of her life. I will certainly not attempt to present an idea here! Nevertheless, it is an intriguing topic of debate. At times, I felt a little bogged down in the second half of the book – once Chanel achieved her success, I lost just a morsel of interest. This did not change my overall regard for the book, however, and I would not hesitate to recommend this to anyone interested in reading more about this influential figure – whether or not you are enticed by fashion! 3.5 stars rounded to 4. I adored this book. Coco Chanel was a complicated woman who it is not always easy for us to like, but Gortner captures her with an adeptness that gives us a complete picture of both the woman and the legend. His language is beautifully elegant in a way that perfectly suits his subject - sleek and sublime. Not many writers could find the right voice for Chanel, but he nailed it. Chanel had an inner strength that was laudable, but we do tend to prickle when we think about some of her behavior durin I adored this book. Coco Chanel was a complicated woman who it is not always easy for us to like, but Gortner captures her with an adeptness that gives us a complete picture of both the woman and the legend. His language is beautifully elegant in a way that perfectly suits his subject - sleek and sublime. Not many writers could find the right voice for Chanel, but he nailed it. Chanel had an inner strength that was laudable, but we do tend to prickle when we think about some of her behavior during WWII. Nonetheless, I can't say I found her unlikeable - probably because Gortner makes it so we can understand her actions, even when they make us cringe. To me, the very qualities people want to criticize her for having (or at least those they view as rendering her unlikeable) are the same qualities that made her capable of being the force she was. People are complicated, and the traits that lead to success and the ability to have a profound cultural influence on the world can prove to be liabilities in other situations. In this work of historical fiction, noted fashion-writer-turned-novelist C.W. Gortner attempts to understand the enigma of Coco Chanel -- who she was at heart, and how she came to be that way. Gabrielle "Coco" Chanel was born into rural poverty in France to a mother who worked as a laundrywoman and seamstress, and a n'er-do-well (and mostly absent) father who was an on-again, off-again street vendor. When Coco was 12, her mother died, and Coco's father abandoned her and her siblings to be raised as orphans at a convent. Thankfully her time as an orphan at the convent wasn't filled with Dickensian despair, as the nuns recognized and nurtured her innate interest and talent for sewing. Chanel initially believed this would lead to a life of penury like her mother's, but knew she would need some sort of skill as she also was forming a belief that she would never -- NEVER -- depend on a man for her living expenses. Chanel was exceedingly driven, fearless, savvy, and an astute business woman. That said, she was an incredibly complicated person -- the adjectives "kind" and "generous" wouldn't be used to describe her. Being born penniless and then abandoned left her deeply distrustful. Her activities during WWII are particularly suspect. Gortner gives her a sugar-coated explanation for decisions and behaviors that seem unsavory. The historical record is unclear. She was certainly cozy with a few occupying Germans and used Germany's anti-Semitism laws to her advantage to try and gain more control over her perfume company. On the flip side, the book alludes to her also giving support to the French Resistance and providing a safe haven for those trying to escape from Occupied France. I'm not sure what her political views were -- or if she had even had them. My sense is that at the end of the day she was always looking out for #1 and would have made whatever allegiances were necessary to maintain her prominence. Overall Gortner's book provides a comprehensive look at the life of this fascinating woman. Although it's historical fiction, rather than a biography, I do wish he would have provided a more balanced look at some of her more controversial activities. His decision to tell the story in a first person voice is also an interesting one. Gortner seems to be a fan of Chanel, and I have to say that the use of the first person helped to give me more compassion for her as well. I knew a bit about Gabrielle "Coco" Chanel before I read this book, but never felt I understood her. She is a respected but controversial figure who knew what she wanted and went for it. I like how Mr. Gortner didn't just ignore the fact she had affairs with married men, possibly had close entanglements with a few women, and was possibly a Nazi spy. I respect that Mr. Gortner didn't shy away from unpleasant events that happened in Mademoiselle Chanel's life like some authors I've read in the pas I knew a bit about Gabrielle "Coco" Chanel before I read this book, but never felt I understood her. She is a respected but controversial figure who knew what she wanted and went for it. I like how Mr. Gortner didn't just ignore the fact she had affairs with married men, possibly had close entanglements with a few women, and was possibly a Nazi spy. I respect that Mr. Gortner didn't shy away from unpleasant events that happened in Mademoiselle Chanel's life like some authors I've read in the past have. Mr. Gortner wrote in what he believed to be the truth, and I can respect him for that. Many people have said he should have written in a more unfavorable light of Coco Chanel but that seems like a personal preference. This is a historical fiction and things are impossible to prove since so much time has passed, so he could write about what he believed to be provable. Mademoiselle Chanel always denied being a Nazi spy and there was never enough proof to convict her. She was such a private women that I'm not sure the truth will ever fully be known about her as she didn't keep a journal or many confidants. In truth, I'm not sure what to believe about her even but I do know a few things. I admire her tenacity to work for what she wanted in her life (success and independence) but her biggest downfall had to be pride. She made a lot of decisions based on emotions and sometimes it cost her dearly. This book isn't a biography but I feel like I can understand Mademoiselle Chanel better than I have before. How an individual feels about her is left up to them in the end. Long ropes of pearls and a "little black dress" - today key staples in every fashion-conscious woman's wardrobe - are the iconoclastic items originated in 1926 from the visionary mind of Gabrielle Bonheur Chanel, the intriguing heroine of C.W. Gortner's new novel. 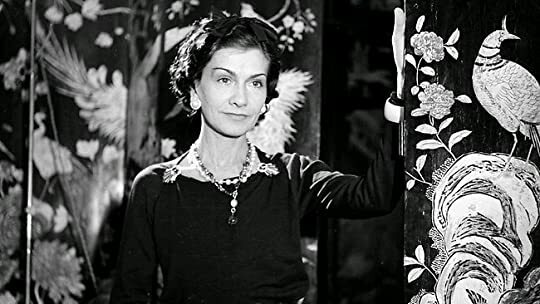 The semi-fictional imaginings of the woman who made the most influential impression on 20th century's couture - the seductress and revolutionary stylist who made modern women's fashion easy to wear - are told through the ventriloquized point of view of 'Coco' Chanel. It is a drama of the magnetic allure that compelled women to mimic her, to want to bond with her as if to be in her skin; and the most prominent men of the times to ardently seek and possess her. Some engaging parts of the novel, besides les affaires d'amour, include the amazing history behind Chanel No.5, the fragrance which became Chanel's most identifying signature: a secret extraction that derived, interestingly, from a scent created personally for the Russian Czarina executed in 1918. Wafting in its own intrigue, Chanel No. 5 was mired in controversial legalities over its marketing. In the book, controlling rights of the 'most expensive parfum in the world' are treated with injustice to Coco on the part of her financial backers, the Wertheimers, but reeks pungently of anti-Semitism, a topic which author Gortner did not balance well. However, the creative rational for Chanel's sleeping with the enemy during Germany's occupation of France holds a degree of plausibility, if not an amusingly colorful yarn. Gortner sketches a well rounded read on the legendary Coco Chanel. He covers her heartbreaking childhood, romantic involvements, business ventures to her questionable involvement as a Nazi collaborator. Chanel was as mysterious in life as she remains after her passing. Gortner doles out information causing the reader to ask poignant questions as well as reach their own conclusions, assumptions. A wonderful gateway encouraging further examination of this enigmatic reticent fashion icon, and woman Gortner sketches a well rounded read on the legendary Coco Chanel. He covers her heartbreaking childhood, romantic involvements, business ventures to her questionable involvement as a Nazi collaborator. Chanel was as mysterious in life as she remains after her passing. Gortner doles out information causing the reader to ask poignant questions as well as reach their own conclusions, assumptions. A wonderful gateway encouraging further examination of this enigmatic reticent fashion icon, and woman. Before reading: I highly recommend Coco Chanel: An Intimate Life, but since I find the woman so interesting I just have to read more. Two books on exactly the same topic. The above is non-fiction, while Mademoiselle Chanel by C.W. Gortner is historical fiction. I have given both four stars. They are both easy to read, interesting, engaging and stick to known facts. However, we cannot today know for sure why Chanel stayed in Paris during the Nazi occupation 1940 through the late sum Before reading: I highly recommend Coco Chanel: An Intimate Life, but since I find the woman so interesting I just have to read more. Two books on exactly the same topic. The above is non-fiction, while Mademoiselle Chanel by C.W. Gortner is historical fiction. I have given both four stars. They are both easy to read, interesting, engaging and stick to known facts. However, we cannot today know for sure why Chanel stayed in Paris during the Nazi occupation 1940 through the late summer of 1944. There are several plausible reasons - business, release of her nephew taken as a German prisoner of war or love. Actually, isn’t this how life often is; how often is there only one motive? Do I think she supported Nazi ideology? No, I do not. What you get in Gortner’s book, and not in the other are fictional dialogs. Gortner’s basically concludes, except for a very short Afterword, with the events of WW2. Coco Chanel, born in 1883, died in 1971. Neither book details the legal proceedings concerning her possible collaboration with the Nazis. Both books give the same perspective on her affiliations. I would like to find a book that focuses on her ten years in Switzerland and the law court proceedings. Gortner’s book hops quickly from the war to 1954 when she offered a new collection in Paris and then to her death. Both books cover her entire life, although Gortner’s enhances the story of Chanel’s trip to Madrid, Spain, in 1944; giving the book a final punch, a spy-story denouement. The title in fact forewarns this; it was only Churchill who called Coco “Mademoiselle Chanel”. Perhaps the spy aspect is a bit over-dramatized. Both books accurately detail life events, down to the plants and décor of her La Pausa mansion! Her loss of every man she loved is clearly depicted as well as here lesbian affairs, her couturier, her drug addiction, her artistic friends and her philosophy of life. The audiobook is narrated by Rebecca Gibel. The story is told by Coco, using the first person point of view. She is telling her own life story from the perspective of an older woman. You don’t feel that she is chatting with you but rather as a woman writing a book about her own life. There is a difference. There is humor. I didn’t love the narration because I felt Gibel over-emphasized Coco’s strength rather than her unhappiness, her loneliness, her continual search for love, her insecurity. I see Chanel as a fascinating woman and I love her style. I loved this story of Coco Chanel and her braveness. She was a true free spirit who would do anything for her friends and her family. I have always admired her designs and this is a very complete story of her life. It took me a while to read this book but it is holiday season and lots going on but I wanted to read it all and I"m so glad I did. Will definitely read more from this author. I am not a fashionista, and I didn't know anything about Coco Chanel before reading this. But I am a fan of women who shape their own destinies and leave their mark on the world in the process, and C.W. 's novels have yet to let me down, so this one immediately went on my wishlist. I was not disappointed! This novel is a tour de force, much like the woman at its heart, and I think it's Gortner's best book yet. I'm glad I did not read any reviews before reading this book because, looking through so I am not a fashionista, and I didn't know anything about Coco Chanel before reading this. But I am a fan of women who shape their own destinies and leave their mark on the world in the process, and C.W. 's novels have yet to let me down, so this one immediately went on my wishlist. I was not disappointed! This novel is a tour de force, much like the woman at its heart, and I think it's Gortner's best book yet. I'm glad I did not read any reviews before reading this book because, looking through some of them now, I see that some major plot points that hit me pretty hard would have been spoiled for me. So if you're like me and don't know anything about her life either, and if you like to be taken unaware by a great story, be careful as you browse reviews. This one will be relatively spoiler free. If you are familiar with Coco's story, I think you'll find Gortner's interpretation to be balanced and well researched, vibrant with the essence of this legendary woman. Mademoiselle Chanel's life is a true rags-to-riches story. The story of a woman who used talent, opportunity, and an awful lot of hard work to build a fashion empire. The story of a woman prone to perennial heartbreak, no matter her fame and fortune. The story of a woman who held her heart close yet allowed it to shine through in bittersweet tributes and acts of generosity. She is far from perfect. Her self-absorption causes her to be blindsided by certain developments and to feel tremendous guilt in the aftermath of others. She is a demanding employer and businesswoman, vindictive and even vengeful at times. She cultivates some controversial connections that will tarnish her reputation and her legacy, and she doesn't always come out on the high side of moral dilemmas. But in spite of all these flaws, you cannot help but admire her. Her drive, her ambition, her sense of style and understanding of a woman's fashion needs. Her desire to free women from the cages of their corseted clothing. Her ability to adapt multiple times over a career spanning five decades, albeit sometimes reluctantly. Her loneliness, her feelings of inadequacy, her fear of irrelevancy. Her conflicting desires between being independent and beholden to no man and her yearning for companionship and security. Her relationships with some of the most influential and creative people of the times, from business tycoons and socialites to artists, writers, and composers to royalty--and even Winston Churchill. Mademoiselle Chanel's was a life lived through the decadence of the Gilded Age, the Great Depression, the ravages of two world wars, and the good times in between. Hers was a love affair with Paris, with achievement, and with a succession of men who would all leave lasting imprints. Yet hers was a life filled with tragedy and disappointment as well. Gortner writes such wonderful women. He's written a lot of queens, and fashion designer Coco Chanel might seem like a departure for him, but she isn't, really - this woman is a queen of fashion, and every bit the powerhouse of personality to match an empress. Ambitious, ruthless, workaholic, and fierce - she'd be easy to dislike, but I adored her. The ending is unexpected and triumphant. Knowing very little about Coco Chanel, I can’t evaluate the accuracy of her depiction in this fictionalized autobiography. I can comment on the writing which struck me as bloodless. I expect personal insights, intimate emotions as I listen to a person recount the story of her life. But, the tone of this novel was distant, as if told by a stranger. I venture to say that it was one of my best readings ever, an extremely well written book with a translation as well written, rich in vocabulary and so beautiful that we easily get involved in every word. As a fan I am from Coco Chanel and knowing some stories from her life, I loved every page, every story! An excellent research paper and a so good composition of the story that makes me believe that everything that happened in these pages about the life of Chanel, are absolute truths, even if they are not the author convinces us well. It's not a simple biography, it's a romanticized book that entangles us with a fluid reading, despite its historical elements is not something that weighs and makes it massive and we can get to know a little of the woman she was, mysterious, obstinate and determined. My fascination for her has only grown and everything I can say in this review doesn't live up to the story, which is much richer and I recommend everyone to read it. And in relation to the author I knew by name only, I had never read any of his works, I was very curious to read other of his books, his enormous talent in writing and his research work, despite historical romances not being my favorite genre, I feel compelled to give opportunity to his works. Atrevo-me a dizer que foi uma das minhas melhores leituras, de sempre, um livro extremamente bem escrito e com uma tradução tão bem escrita, como há muito tempo não lia, rica em vocabulário e tão bonita que facilmente nos envolvemos em cada palavra. Como fã que sou da Coco Chanel e conhecendo algumas histórias da vida dela, adorei cada página, cada história! Um excelente trabalho de pesquisa e uma composição da história tão boa que me faz acreditar que tudo o que aconteceu nestas páginas sobre a vida de Chanel, sejam verdades absolutas, mesmo que elas não o sejam o autor convence-nos bem disso. Não é uma simples biografia, é um livro romanceado que nos enreda com a sua leitura fluída, apesar dos seus elementos históricos não é algo que pese e que a torne massuda e podemos ficar a conhecer um pouco da mulher que ela foi, misteriosa, obstinada e determinada. O meu fascínio por ela só cresceu e tudo o que possa dizer nesta review faz pouco jus à história, que é muito mais rica e recomendo a todos a sua leitura. If you have a particular interest in fashion, I would certainly recommend this. General readers of historical fiction, you might prefer to pass. Everyone has heard of Coco Chanel, creator of the little black dress and the bronzed Riviera tan, but it wasn't until I was teaching European history that I heard bits and pieces of her tangled history with the Nazis. Fortuitously, that was around the same time that C.W. Gortner announced his upcoming novel on the famous fashion maven. I may have had to wait a year for the book to hit the shelves, but Mademoiselle Chanel did not disappoint! 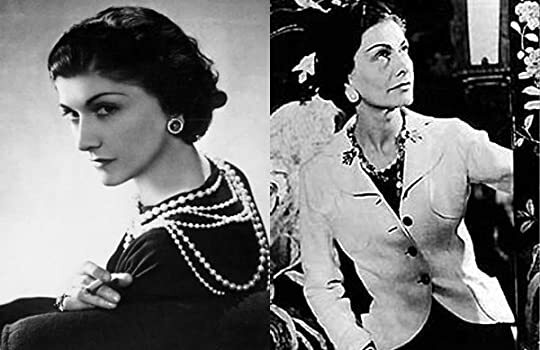 Coco Chanel isn't a soft, cuddly heroine that needs a lo Everyone has heard of Coco Chanel, creator of the little black dress and the bronzed Riviera tan, but it wasn't until I was teaching European history that I heard bits and pieces of her tangled history with the Nazis. Fortuitously, that was around the same time that C.W. Gortner announced his upcoming novel on the famous fashion maven. I may have had to wait a year for the book to hit the shelves, but Mademoiselle Chanel did not disappoint! Darn! This was a good one, but then everything C.W.Gortner writes is absolutely divine. Men adored her, women wanted to wear her clothes, and Paris was unsure of what to make of her. However, Chanel managed to take her place in fashion history. So why not a five? Chanel's story isn't without it's complications and even I have to admit that I was so sucked into this strong personality that Gortner illustrated, of a woman who didn't conform, that I was a little taken aback by the utter stupidity Darn! This was a good one, but then everything C.W.Gortner writes is absolutely divine. Men adored her, women wanted to wear her clothes, and Paris was unsure of what to make of her. However, Chanel managed to take her place in fashion history. Chanel's story isn't without it's complications and even I have to admit that I was so sucked into this strong personality that Gortner illustrated, of a woman who didn't conform, that I was a little taken aback by the utter stupidity of Chanel's actions during WWII. I really felt it hard to stomach the wide eyed victim mentality. As much as Gortner tries to vindicate Chanel, I have to admit that he whitewashed her suspected collaboration with the Nazis. Besides,there is too much evidence in the book that Chanel herself was influenced by those she socialized with and experiences with business partners that fuelled her own anti-semitism feelings to convince me otherwise. The writing was acceptable in this historical fiction based on the true life of Coco Chanel. Coco was a brilliant designer but not a very nice person. The whole 1920's Paris party scene has never been a favorite of mine in literature-fortunately this novel goes beyond that period. Aqui está um livro, ainda que romanceado, sobre a vida e obra de Gabrielle Chanel que vale mesmo a pena ler. O autor, C.W.Gortner, é um fascinado assumido de Chanel e isso nota-se perfeitamente na qualidade do romance que nos apresenta, indo para além da vida da original e irreverente Gabrielle e apresentando-nos, nos momentos certos, as inovações trazidas para o mundo da moda: roupa elegante e confortável, o preto como soma de todas as cores, o perfume Chanel n.º 5, entre outros, só para dar alguns exemplos. Esta é, de facto, uma leitura que nos enriquece. Aprende-se muito sobre Chanel, a mulher e a obra porque, na verdade, são apenas uma só. Chegamos ao fim e ficamos com Chanel entranhada em nós. Independente, corajosa, criativa. Audaz, forte, inovadora. Uma mulher à frente do seu tempo. Desde que me lembro de mim sou fascinada por esta senhora, pelo que quando vi este livro não pude deixar de o ler. A narração na primeira pessoa faz nos sentir ainda mais próximos da verdadeira Coco e da forma como ela viveu a I e II guerras mundiais e como isso afectou a sua vida e a vida da própria Europa. Da forma como ela viveu uma vida rodeada de pessoas e, ainda assim, solitária. De como teve um grande amor e da forma trágica como o perdeu. What a terrific novel! Written in first person, the book captures a very plausible voice for Coco Chanel. She is not romanticized and not always likable, but she is always fascinating and her achievements are impressive. Recommended! I received an ARC through Goodreads Giveaways and have given a fair review. I'm pretty stingy with my 5 star ratings, but this novel warrants one. This book was everything I hoped it would be, and more. I was an avid fan of Chanel fashion, but to learn of the woman behind it all, who literally built the modern day woman as we know it... I can't possibly feel more loyal to another name. The story begins in Gabrielle Chanel's poverty-stricken childhood, a hard-headed and ambitious young girl from the start. Her persistence, though at times selfish, and obvious talent propelled her to a life so far removed from the one previous Chanel generations had endured. But all of the acclaim and riches didn't come without heartbreak and regret. As do so many renowned public figures, Coco Chanel often found herself having to choose between fulfilling her dreams as a couturière and finding happiness. Her tunnel-like vision to succeed in each of her endeavors and her incredible grit, albeit seemingly cold-hearted to some, are absolutely inspiring. Through all of life's hardships, death after death, she manages to hold her head high. What happens when an author known for his convincing, dramatically compelling depictions of the sixteenth century tries his hand at the twentieth? He does a superb job! C. W. Gortner, who has penned vivid fictional portraits of Juana la Loca, Catherine de Medici, Isabella of Castile, Mary Tudor and Elizabeth I, reconstructs the life and ambition of early twentieth century icon Coco Chanel in his latest novel, MADEMOISELLE CHANEL. With the attention to detail and vigorous narrative drive readers What happens when an author known for his convincing, dramatically compelling depictions of the sixteenth century tries his hand at the twentieth? He does a superb job! C. W. Gortner, who has penned vivid fictional portraits of Juana la Loca, Catherine de Medici, Isabella of Castile, Mary Tudor and Elizabeth I, reconstructs the life and ambition of early twentieth century icon Coco Chanel in his latest novel, MADEMOISELLE CHANEL. With the attention to detail and vigorous narrative drive readers of his early modern fiction have come to expect, Gortner recreates the unsettled glamor of wartime Europe and the woman who constructed both a self and a fashion empire amid grueling uncertainty and near constant upheaval. Gortner’s novel attempts to answer the question Coco herself poses in the short prologue: “Who is Coco Chanel?” An enigmatic and intensely private woman, the historical Coco presented a carefully cultivated public persona that promoted the allure of her “look.” Yet was she as aloof and self-interested as she appeared? In his chronological exploration of her life, Gortner uncovers the psychological wounds that may have prompted Coco to withdraw behind protective defenses. The opening chapters of the novel depict Coco's childhood as one of poverty and loss. Abandoned by her father after the death of her mother and raised in a convent orphanage, young Gabrielle has nothing but her skill with a needle, her fashion sense, and her determination with which to forge a better life. Though she dreams of opening a hat shop, with no ready capital she must supplement her meager sweatshop salary by singing in local cabarets under the sobriquet “Coco.” There, she attracts the attention of the Étienne Balsan, heir to one of the largest fortunes in France. Although she does not love him, Coco becomes his mistress. Balsan introduces her to a life of luxury, but one of industry, too. He indulges her “hat hobby” and Coco soon gains a large clientele among the socialites of Balsan’s circle. Through him she meets rich industrialist Arthur Capel, who becomes the love of her life. Capel finances her first shop in Paris (she eventually repays every penny, with interest) and slowly her business grows. By 1912 she is designing clothes as well as hats and opening far-flung boutiques. But unlike other women of her age, Coco has no desire for marriage or children. She is wedded to her work, to her success, and to her aesthetic. As Coco's astounding career unfolds through two world wars, the reader cannot help but attribute her prickly self-reliance to an underlying fear of being abandoned yet again, of slipping back into the poverty and obscurity she only just managed to escape. This dread remains ever with her, defining her relationships with colleagues and employees, tainting her friendships, determining whom and when she will love. In probing Coco’s inner life, Gortner stirs the reader’s compassion for this controversial figure. His admiring yet candid assessment inspires respect for a complicated, resolute woman who was not above conspiring with Nazis if it might win her imprisoned nephew his freedom and her enterprise a measure of protection from the vicissitudes of war. 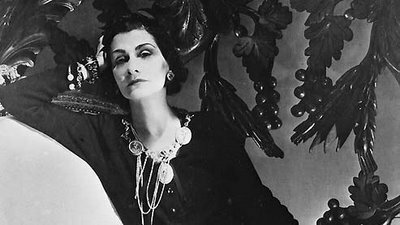 The luxurious Chanel brand is iconic -- the perfume, the fashion, its founder -- and I'm surprised Gabrielle "Coco" Chanel hasn't been featured in a historical novel before. Her hist fic debut comes from C.W. Gortner, whose sublime The Queen’s Vow humanized Isabella, and this novel has set the high water mark for any future reads that attempt to tackle the notorious Chanel. Born at the end of the 19th century in abject poverty, Gabrielle Chanel was turned over to a convent where she mastered sewi The luxurious Chanel brand is iconic -- the perfume, the fashion, its founder -- and I'm surprised Gabrielle "Coco" Chanel hasn't been featured in a historical novel before. Her hist fic debut comes from C.W. Gortner, whose sublime The Queen’s Vow humanized Isabella, and this novel has set the high water mark for any future reads that attempt to tackle the notorious Chanel. Born at the end of the 19th century in abject poverty, Gabrielle Chanel was turned over to a convent where she mastered sewing. Rather than taking vows to become a nun, Gabrielle instead became a seamstress and more daringly, a club singer -- where she earned her nickname Coco. Quickly, through her skill, ambition, and some fortuitous relationships, Chanel managed to project herself to fame over the decades as her once radical designs -- corset-less, trim, daring, modern -- set the standard for chic fashion. Weathering World War I and II, as well as devastating heartbreaks and notorious love affairs, Chanel lived a life that knew deprivation and luxury in equal part. While the subject of this book is fascinating -- not just Coco herself, but the world she lived in -- the novel is made by Gortner's writing. Occasionally, I eye-roll when biographical novels use the first person viewpoint, as I find it makes the narrative all tell and no show, and allows the author off the hook when it comes to thornier details. In Gortner's hands, however, Coco articulates her life with the spare, artistic verve of her designs. (He took his hand away. Not with harshness. His fingers just unraveled from mine, like poorly spun threads., p11) Even more delightfully, Coco's voice grows as she does, rather than remaining static throughout the book. And the clincher: Gortner dealt with the ugly stuff. I was most curious about how Gortner would handle the allegations that Coco was a Nazi collaborator and spy. It's obvious from this sympathetic novel that Gortner admires Chanel, and his suggestion of how the fashion designer became embroiled with the Nazis is sympathetic. But he offers characters who question her motives, her contradictions, allowing the reader to voice their doubts, too -- and like Coco's friends, we have to decide if we believe her. I found Gortner's articulation of Coco so solid that while I clucked at her choices, I understood why she made them. Before reading this book, I knew of Coco Chanel and her perfume and women’s suits but I really didn’t know anything about her as a person. Thanks to C.W. Gortner I now know about her rich history and life. Gabrielle Chanel and her siblings were born into poverty. When her mother died, she and her sisters were sent to one orphanage and her brothers to another. At the orphanage the nun’s soon recognized her talent for sewing and challenged her with exceedingly with more difficult patterns. She was Before reading this book, I knew of Coco Chanel and her perfume and women’s suits but I really didn’t know anything about her as a person. Thanks to C.W. Gortner I now know about her rich history and life. Gabrielle Chanel and her siblings were born into poverty. When her mother died, she and her sisters were sent to one orphanage and her brothers to another. At the orphanage the nun’s soon recognized her talent for sewing and challenged her with exceedingly with more difficult patterns. She was able to sew all of them. When she turned 18 the nuns got her a job but she soon became bored working for someone else. She broke out on her own trying to get a job in Paris with the end goal of opening her own shop. However, it was harder than she thought and she temporarily became a torch singer with the help of a friend, just to meet her most basic expenses. It is then, she met her first lover of many. Eventually Coco realized her dream of opening up her first shop and eventually many more. She eventually propelled herself into the spotlight and becomes the household name she is still to this day. I loved getting to know Coco. Back in the day when women were suppose to “know their place”, she rejected living that lifestyle. Despite her many affairs, she was a role model for women of her time. She was willing to put in all the hard work necessary to realize her vision! Written in hypnotic pose, C.W. Gortner has painted a vivid picture of Coco Chanel’s life and Whalebone corsettimes. He captures the scenery in all the places in France that she lived beautifully. Her sumptuous fashion is brought to life, so much so that I could see it displayed in front of me. Women, we have Coco Chanel to thank for getting rid of all those uncomfortable whalebone corsets. Though this book is historical fiction, it is clear to me that C.W. Gortner spent a long time researching for it. He also explains much of what was fact and fiction in an author’s note, at the end. Mademoiselle is an un-put-down-able read from start to finish and kept me up into the wee hours of the morning. It is a must read for historical fiction lovers or those interested in learning more about this extraordinary woman! Mademoiselle Chanel de C. W. Gortner constitui uma leitura muito interessante; uma excelente primeira aproximação a esta personalidade tão icónica. Ao longo do livro, o escritor foca os acontecimentos mais importantes da vida de Gabrielle Chanel, ao mesmo tempo adornando o livro com algumas curiosidades. Encontramos Mademoiselle Chanel em 1954, depois do prolongado exílio no estrangeiro pelo qual optou após a Segunda Guerra Mundial. Lentamente esquecida, no seu regresso Chanel encontra o mundo, Mademoiselle Chanel de C. W. Gortner constitui uma leitura muito interessante; uma excelente primeira aproximação a esta personalidade tão icónica. Ao longo do livro, o escritor foca os acontecimentos mais importantes da vida de Gabrielle Chanel, ao mesmo tempo adornando o livro com algumas curiosidades. Encontramos Mademoiselle Chanel em 1954, depois do prolongado exílio no estrangeiro pelo qual optou após a Segunda Guerra Mundial. Lentamente esquecida, no seu regresso Chanel encontra o mundo, mais uma vez, mudado… e propõe-se, mais uma vez, a conquistá-lo. Daqui, somos transportados para o passado, acompanhando-a na infância, desde a morte da mãe. Embora soubesse que não pertencia ali, foi durante a passagem pelo orfanato de Aubazine que Chanel descobriu o amor pela leitura e a sua vocação: a costura. A agulha podia não parecer uma grande arma à primeira vista, mas era a única que ela tinha para se manter, e às irmãs, a salvo. Depois de uma época em segurança com Étienne, herdeiro de uma grande fortuna e seu primeiro amante, Chanel realiza finalmente o sonho de abrir uma loja, com a ajuda de Boy, e em 1911 o negócio começa a prosperar graças à inovação que traz ao mundo da moda, aos seus modelos práticos para o quotidiano e à importação de novos tecidos. Mas a ascensão à fama foi tumultuosa; o seu sucesso sempre se fez acompanhar de uma série de infortúnios, dramas e contrariedades, quer na sua vida pessoal quer no mundo. Atravessa a Primeira Guerra, a Recessão de 1929 e a Segunda Guerra Mundial, ajustando e reinventando-se constantemente. Perde amantes, amigos e familiares. Conhece o fracasso e a traição. Assim que descobre o que quer, reúne esforços para o conseguir, passo a passo. O medo de se tornar irrelevante acompanha-a durante toda a vida profissional; resistir ao progresso é arriscar a extinção e, no entanto, Chanel não acompanhava modas - criava-as. Na vida sentimental, mantém a ideia de que não consegue amar e que não merece ser amada. Tudo isto - a sua personalidade, o seu inegável talento e o seu extraordinário percurso de vida - tornaram-na numa mulher excecional; uma mulher que merece certamente ser recordada em livros como este. Bestselling author C.W. Gortner holds an MFA in Writing, with an emphasis in Renaissance Studies. Raised in Spain and half Spanish by birth, he currently lives in Northern California. His books have been translated in over 20 languages to date.